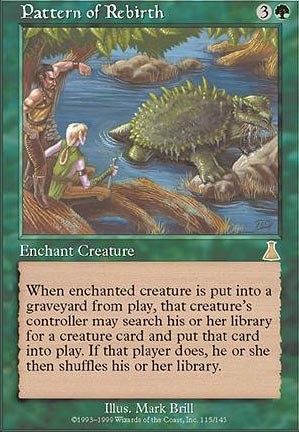 When enchanted creature is put into a graveyard, that creature's controller may search his or her library for a creature card and put that card into play. If that player does, he or she then shuffles his or her library. 134 decks jouent cette carte.